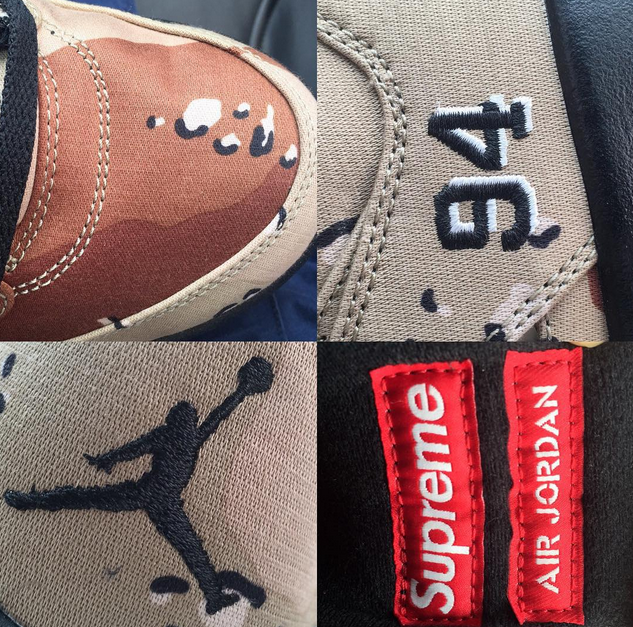 While we await a confirmed release date, images from @realchickenwop have revealed some more details on this collab. 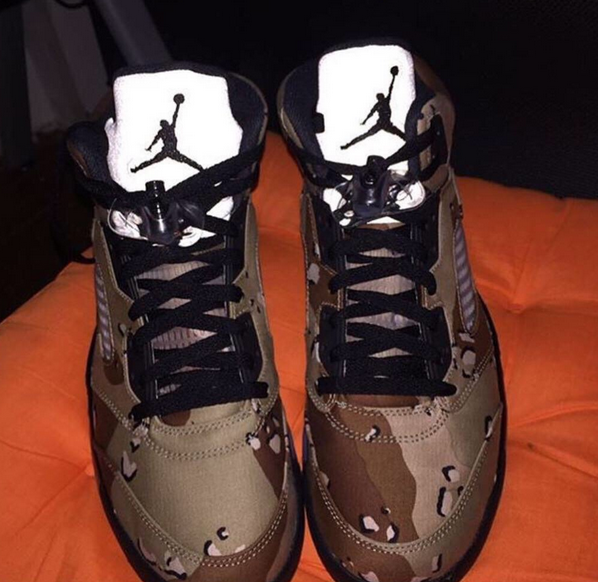 The "Desert Camo" colorway is officially known as "Bamboo/Black-Classic Stone" and will retail for $198. The black and white colorways will likely cost the same, but be sure to check back soon just in case something changes. 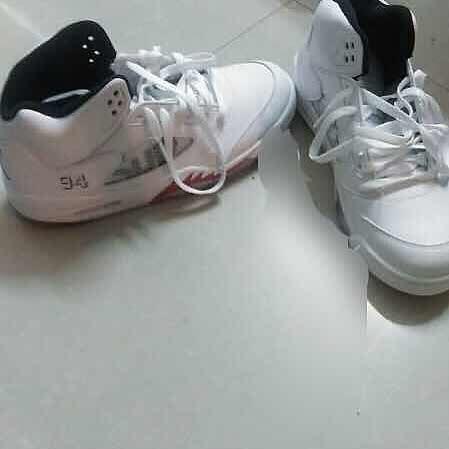 An on-foot image of the white colorway have surfaced courtesy of @shoulee81. 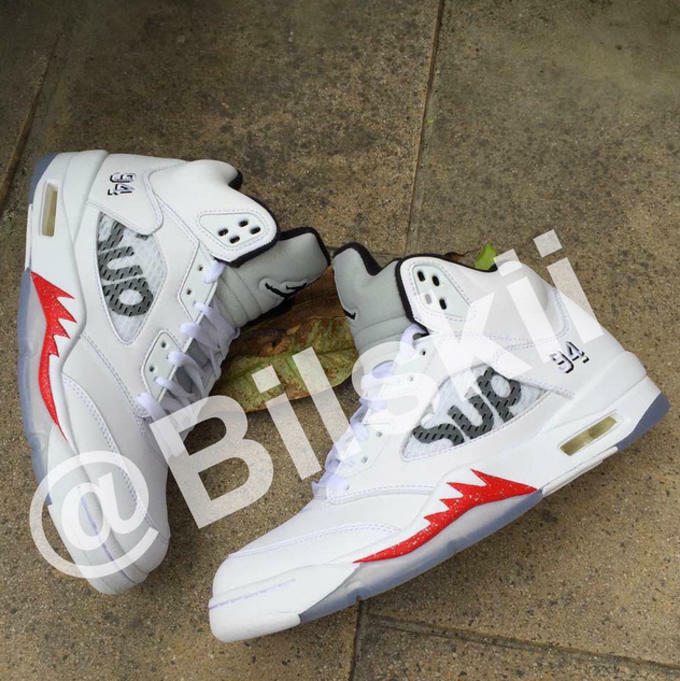 A clear image of the white colorway of the upcoming Supreme x Air Jordan V Retro has surfaced on Instagram courtesy of Instagrammer @bilskii and shows the shoe to be similar to the "White/Metallic" V Retros which released earlier this year with the most significant changes being the additional of the "Fire Red" hit on the outsole and of course the Supreme logo masked behind the shoe's netting. Supreme has a Nike GTS collaboration dropping today, but it looks like the New York skate brand&apos;s next sneaker collab could be even bigger. 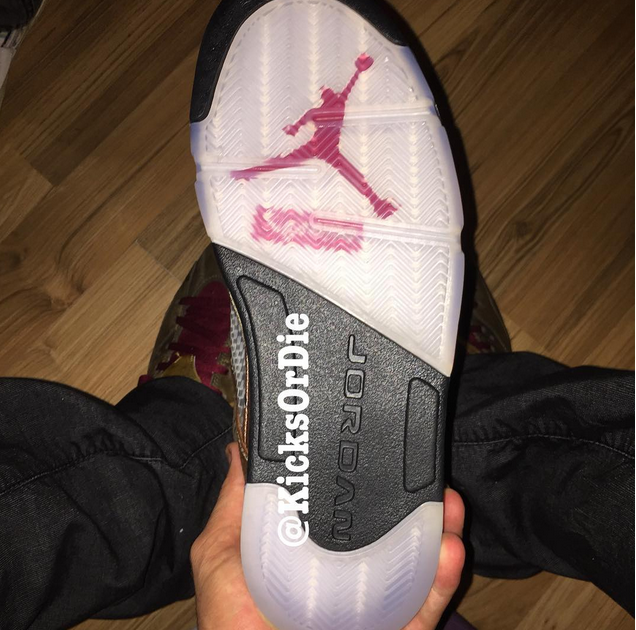 After nearly a year of speculation that it&apos;s been working on something with Jordan Brand, we&apos;re now getting a preview of what may be the result of the partnership. 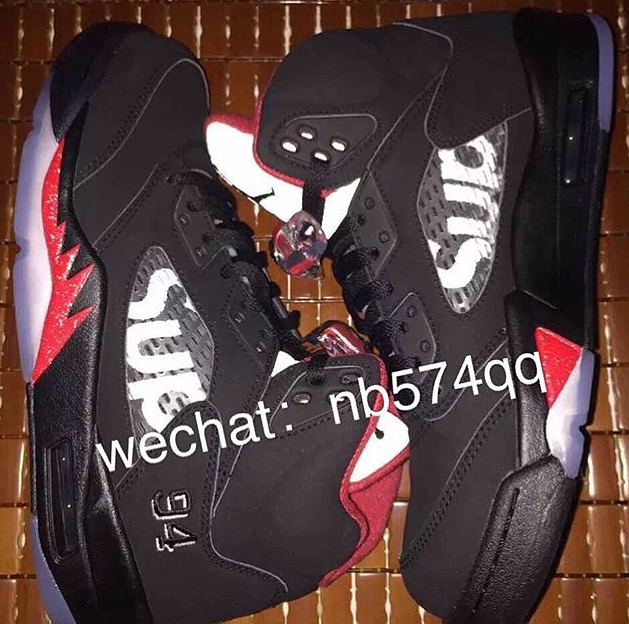 Previewed on Niketalk, this image depicts a Supreme x Air Jordan V that could very well be the real deal. The upper is adorned in a "Desert" Camo" print that has become a Supreme signature, while the heel features "94" embroidery, signifying the year that the brand was founded. Meanwhile, "Sup" branding appears underneath the translucent netting. 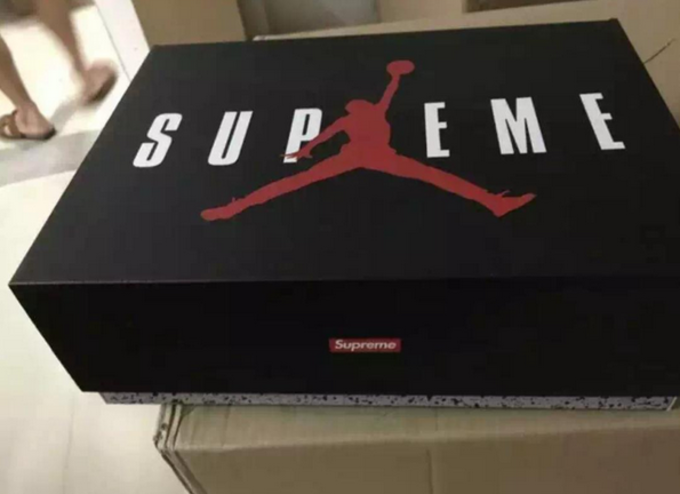 There&apos;s no word on a release date, or if these are even a real sample, but we&apos;ll be sure to let you know as soon as we hear confirmation. 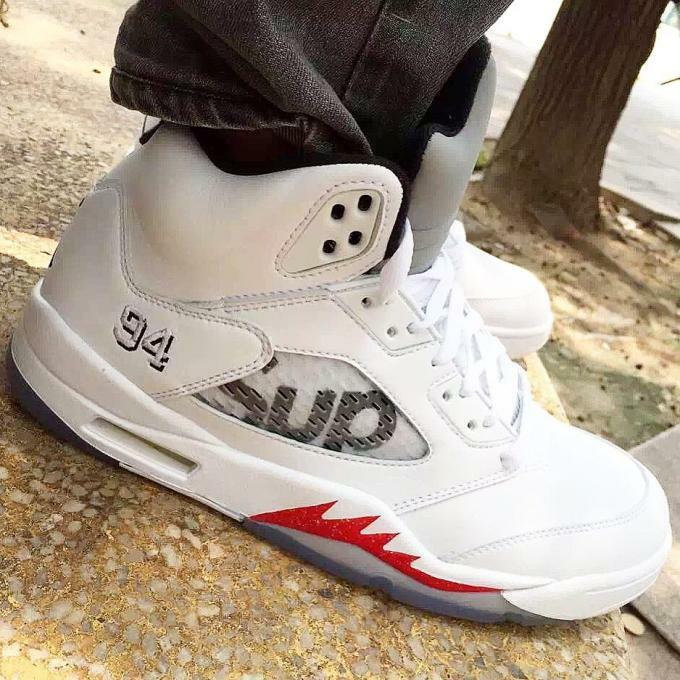 The third and final colorway of the Supreme x Air Jordan V collab has been revealed by Instagram leaker @shoulee81. 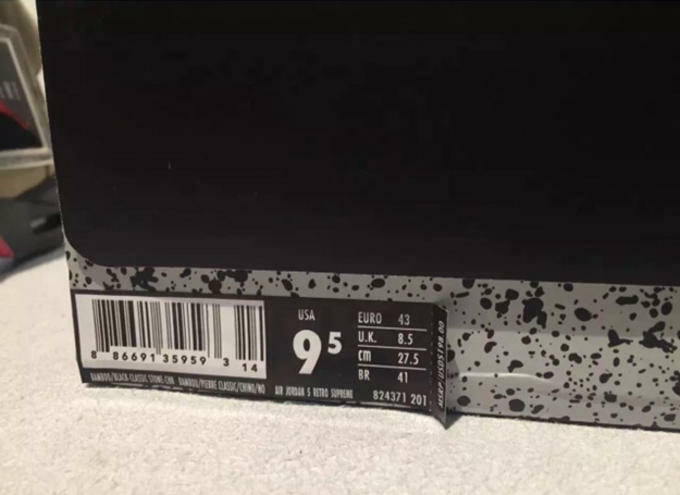 As reported earlier by Twitter user @J23app, three colorways are set to release with the first two already having leaked. 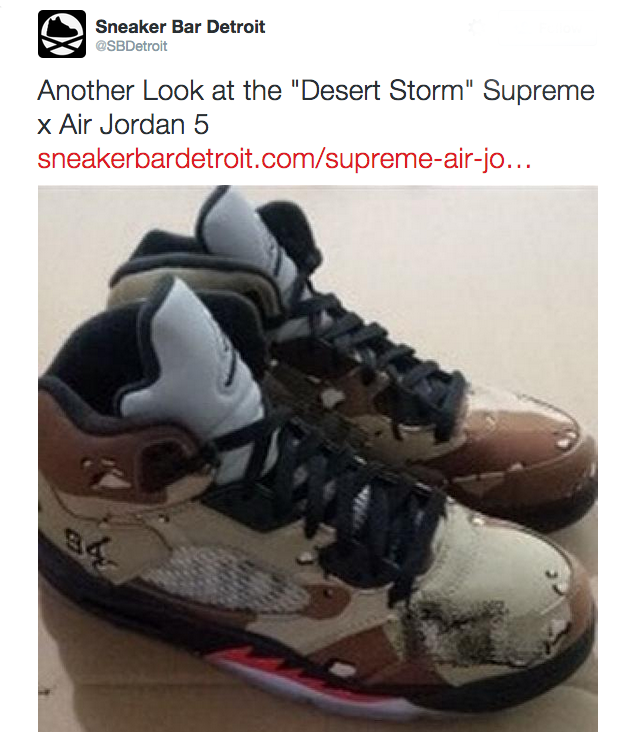 Another user, @_PO2345, who&apos;s known to provide credible information, had stated that one of those colorways would be a pair that resembles the O.G. 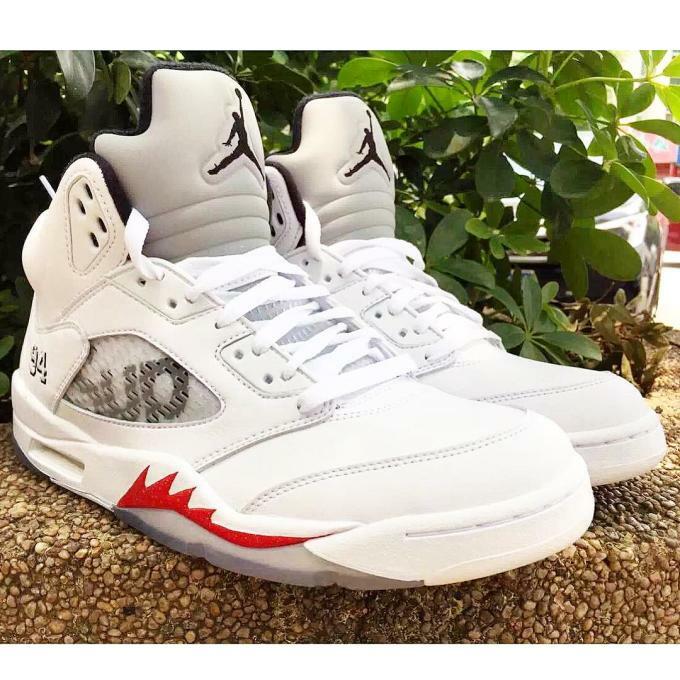 "White/Red" Jordan V which seems to be the case here. We&apos;ll continue to update as more information develops. 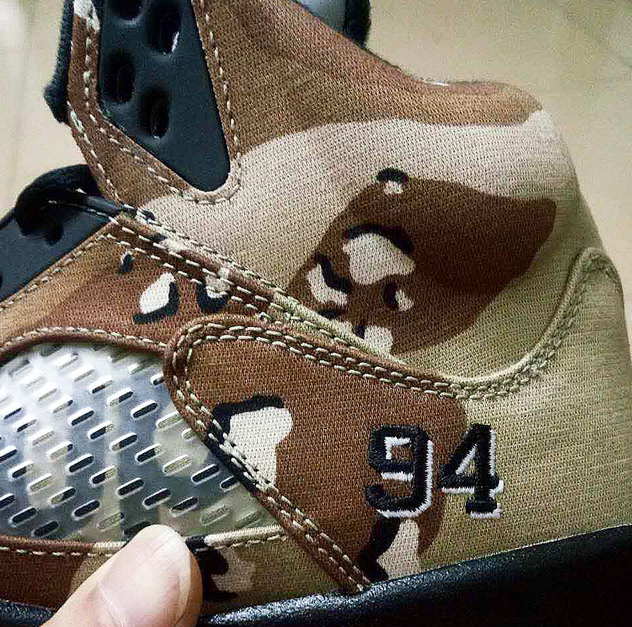 This could be a first look at the alleged black pair.